What could be more delicious than a good basic beef stew. When you make it in the slow cooker – dinner is ready when you are. 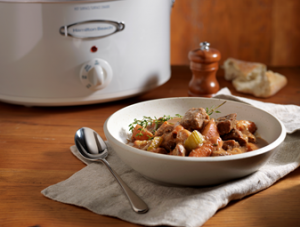 Stews always taste better next day, so any leftovers will make a perfect lunch. Prep: 20 min. Cook: 8 hr.